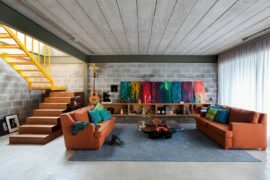 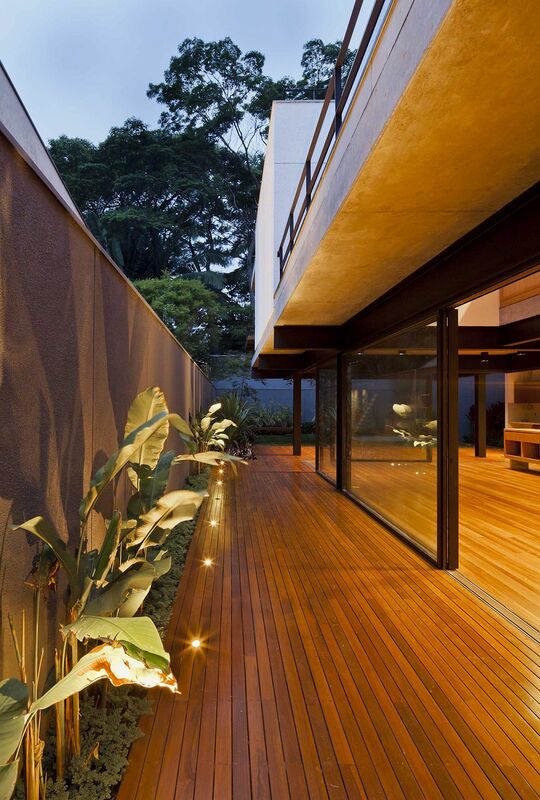 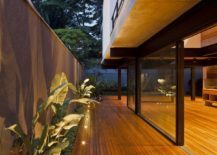 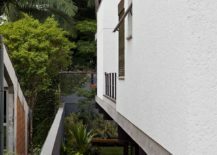 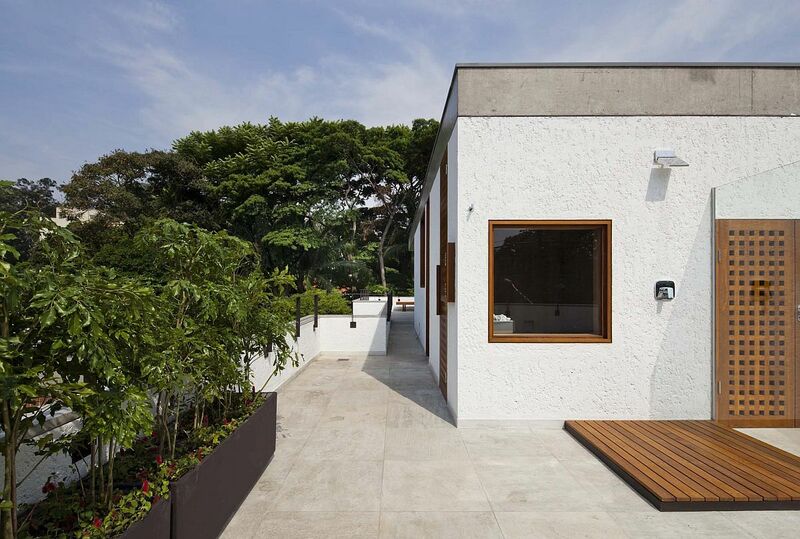 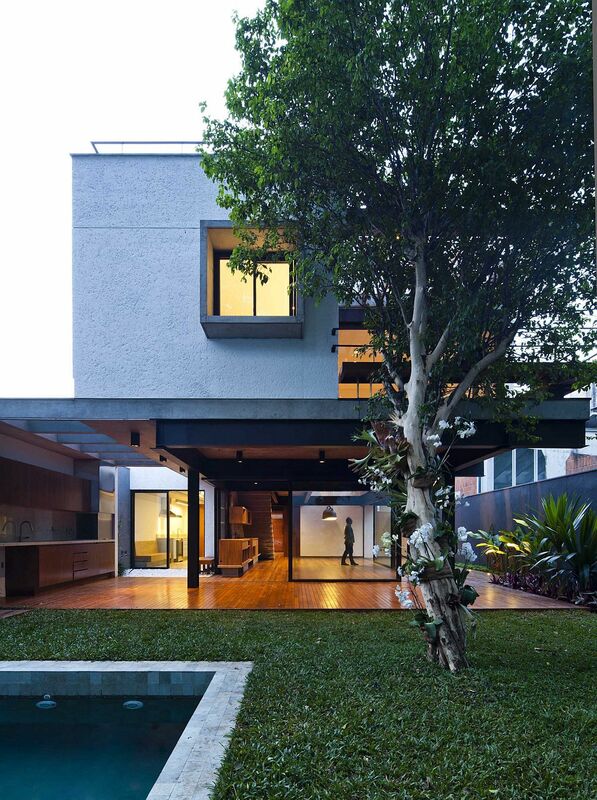 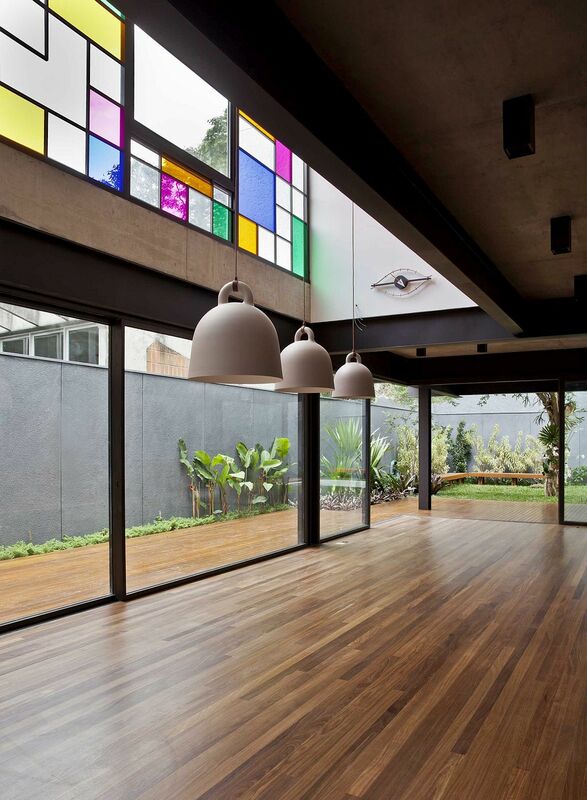 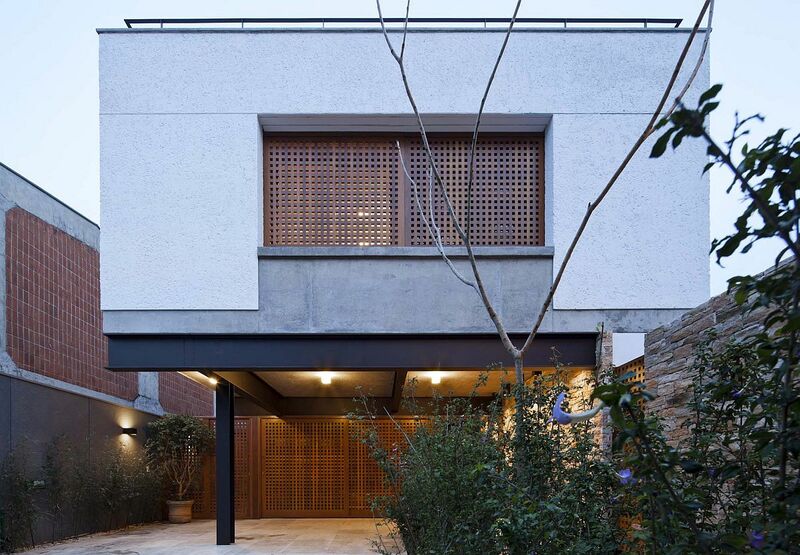 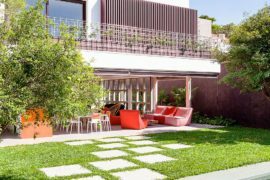 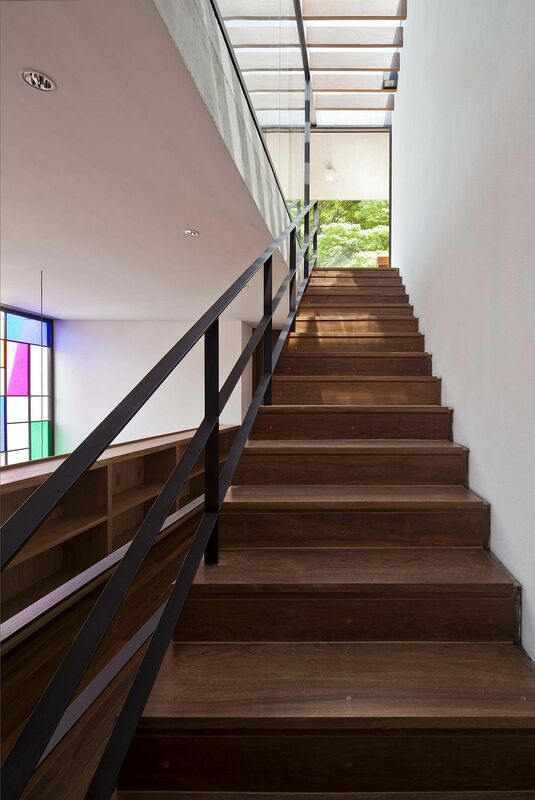 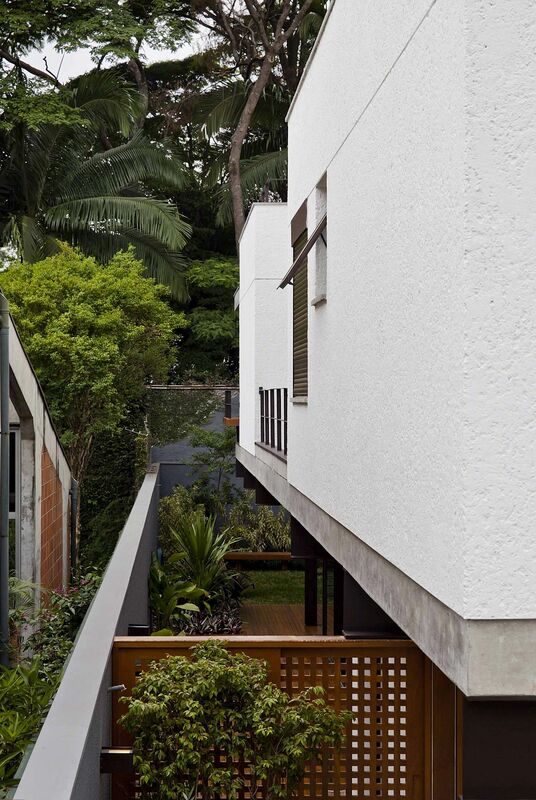 There are times when simplicity trumps all else and this polished, multi-level home in Sao Paulo reemphasizes this fact even while carefully weaving modernity with a splurge of green goodness. 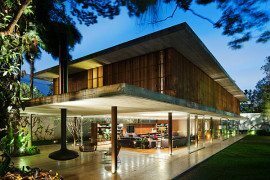 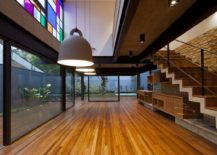 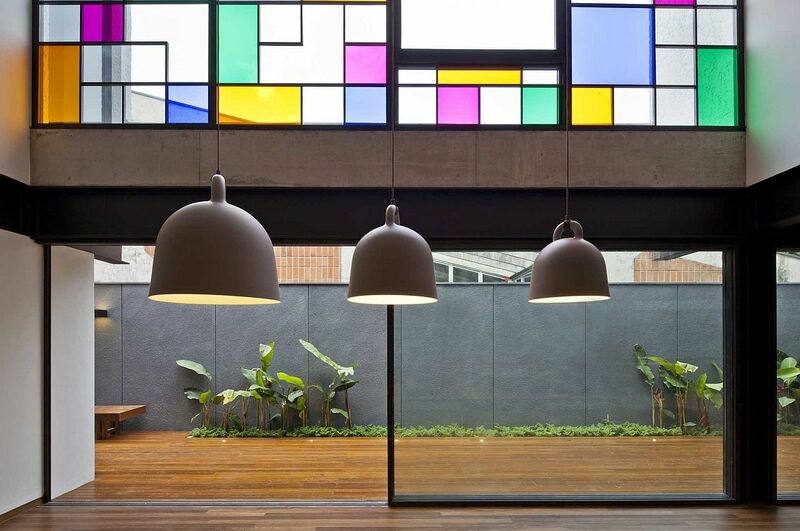 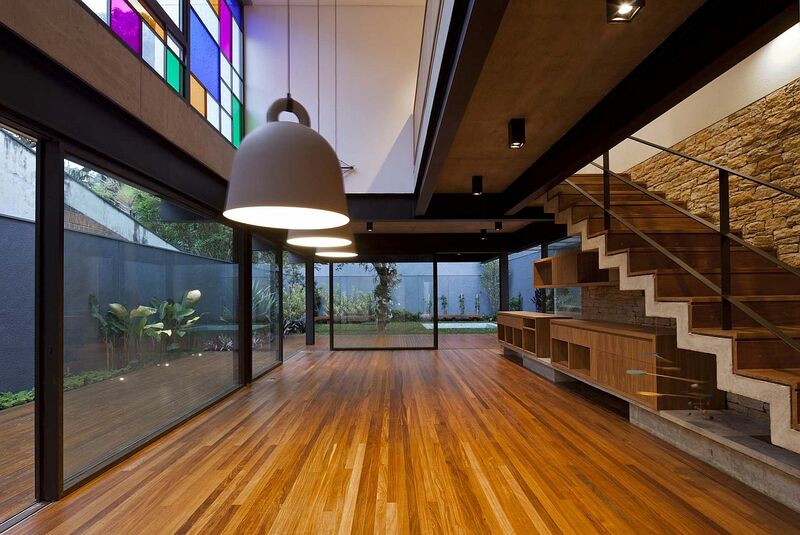 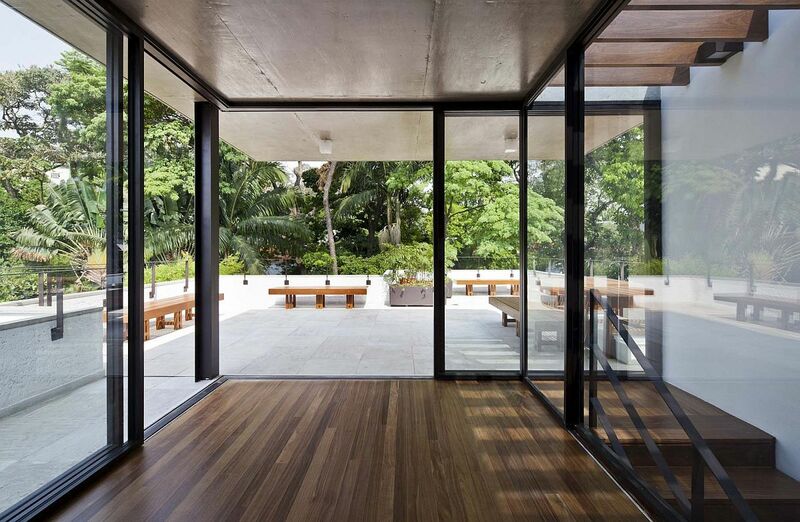 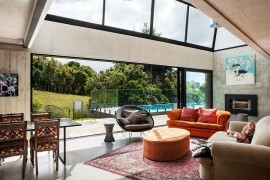 A Vasco Lopes Arquitetura design, the Vila Nova Residence is primarily steel and concrete structure with glass bringing in plenty of natural ventilation. 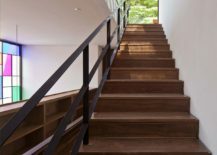 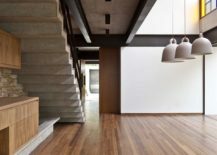 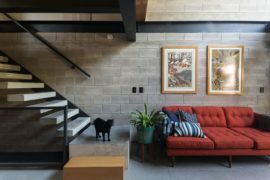 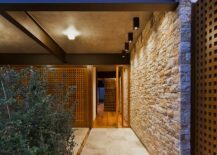 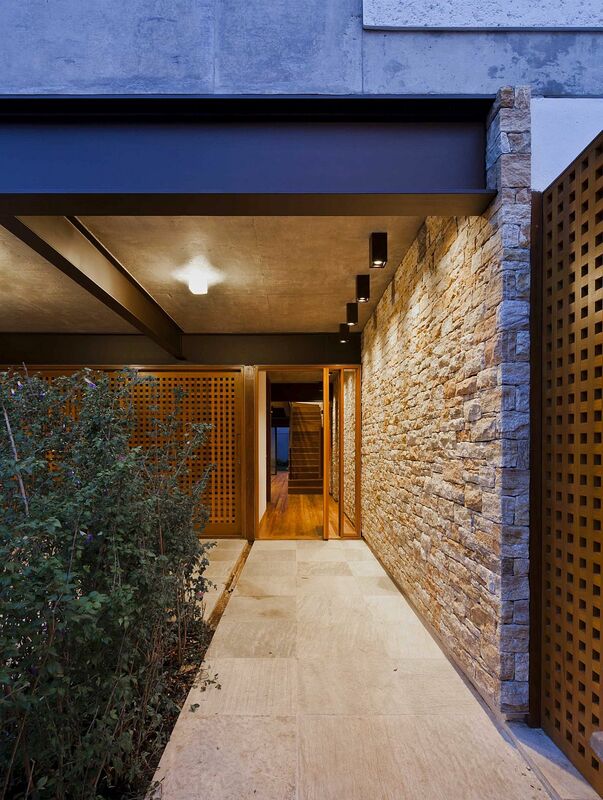 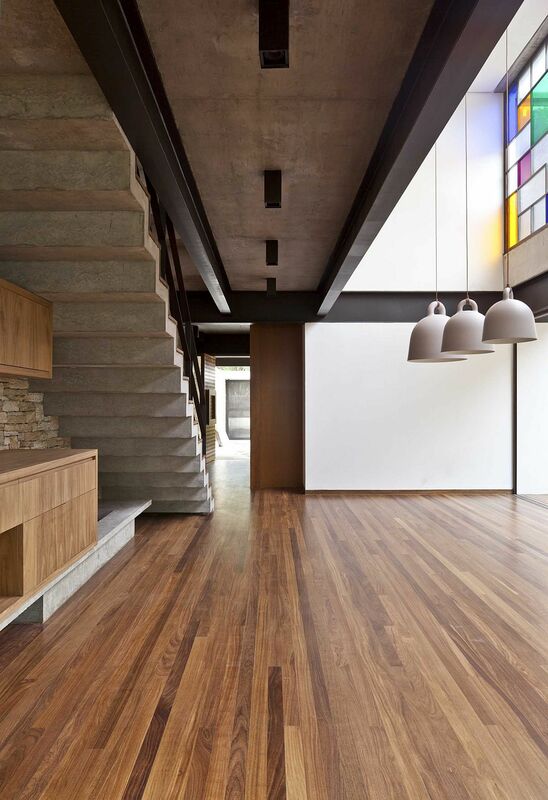 The exposed steel beams and concrete surfaces inside the house are carefully balanced using a warm wooden, flooring and custom stone walls that add even more textural contrast to the elegant urban home. 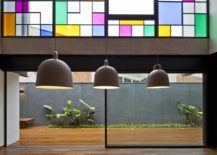 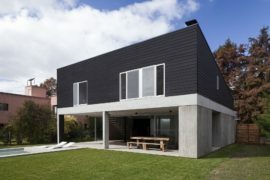 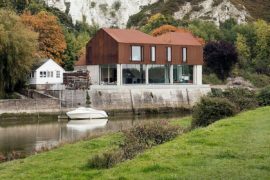 Despite the extensive use of contrasting materials and rough finishes which include stone, steel and concrete, the interior has a distinctly modern vibe. 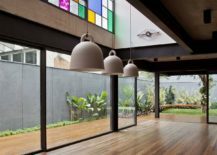 Multi-colored, stained glass panes on the top level and sliding glass doors on the lower level connect the home with the lush green garden outside even as the double height living and dining area becomes the center of all activity. 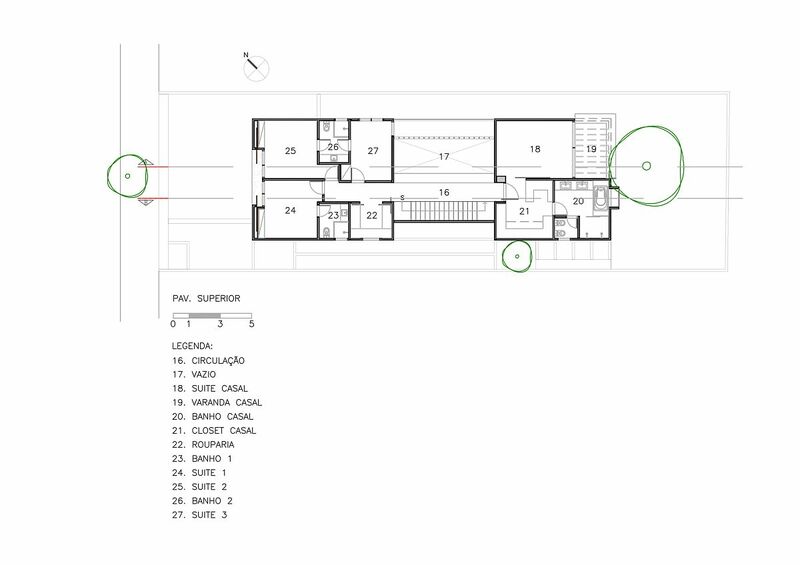 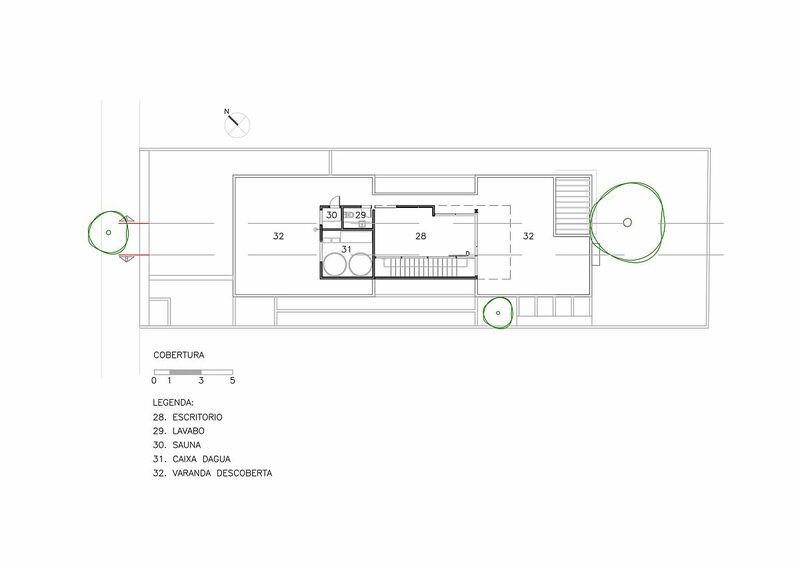 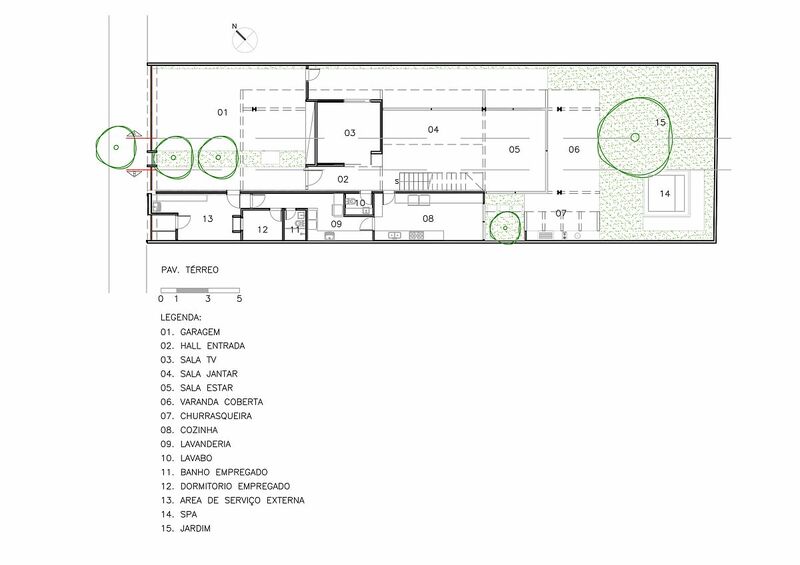 It is the upper level that holds the bedrooms and bathrooms with the top floor containing a home office, solarium and a sauna along with a lovely rooftop garden.